stephaniepaiger: "When SUPERMAN's chill bar is next to your university. My heavenly two minute interaction with Henry Cavill." 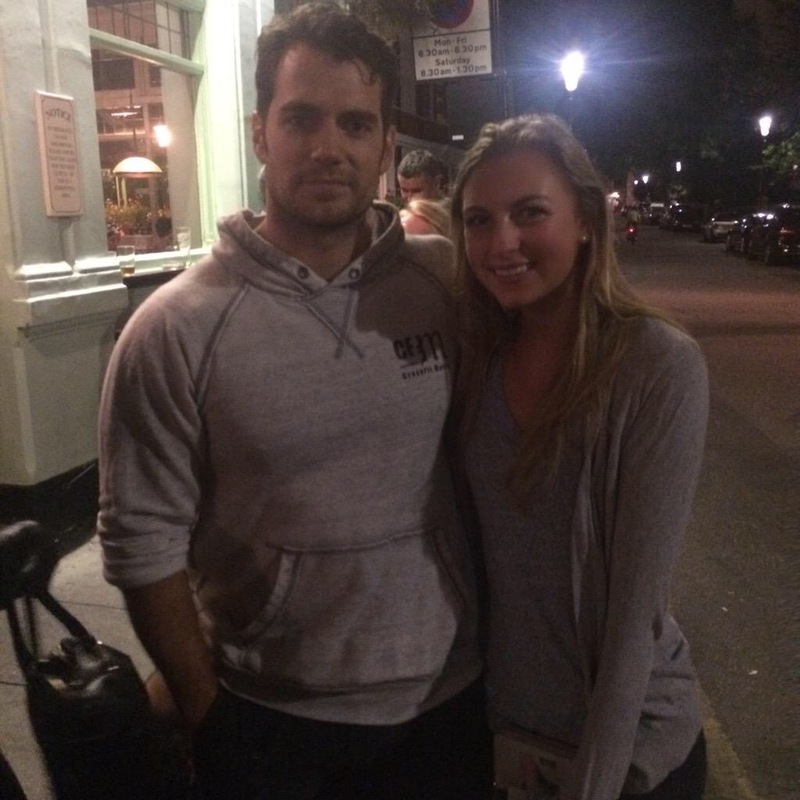 These guys couldn't believe their luck, when they ran into Henry at a London pub tonight. It's always so nice to see how willing he is to pose for pics in his free time. Never change, Superman. @ghostchild__: "I just met Henry Cavill (..) he's so hot, OMG." picklejuicee: "I present to you, Henry Cavill, aka Superman, at my local pub. #RomanInLondon #HenryCavill #Cheers #ThemMuscles #ThatFace #UGH"
@simply_devine13: "Of course after I leave #London #HenryCavill, aka #Superman, goes to our favorite local pub #takemeback." SatyaShakita: "He was super sweet and down to earth." He is so sweet, kind, a gentle soul. You can't help but fall in love with him. Almost Time: We're Rooting For You RMCTF! The Rugby World Cup Is Here: Go England! Henry Reportedly Circling Role In "The Virginian"
'The Day I Met The Humble & Funny Henry Cavill"